Every community is at risk from various natural and man-made hazards. 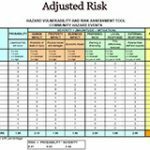 Hazards are events that threaten lives, property, assets, and infrastructure. We need to know what hazards we face so that we can take reasonable precautions to protect ourselves, our families, and our communities. Once you know your risks you can develop a Family Disaster Plan to help you and your family prepare for and respond to hazardous events. Natural hazards such as earthquakes, floods, tornadoes, and windstorms affect thousands of people every year. Often, natural hazards can be predicted. They tend to occur repeatedly in the same geographical locations because they are related to weather patterns or physical characteristics of an area. Man-made hazards include hazardous materials and transportation incidents and utility failures. These types of incidents often happen with little or no warning. 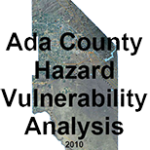 The Ada County Hazard Vulnerability Analysis (below) contains detailed information on local hazards. Also see the links below for other hazard-related web resources. For a very brief summary of our hazards see our Frequency and Magnitude page. And be sure to check out our Prepare page for other safety and preparedness information. If you have questions about local hazards and risks contact Ada County Emergency Management at 577-4750.